HeinOnline’s Slavery in America and the World database provides free public access to countless English-language legal materials, pamphlets and books on slavery. Though the collection covers slavery in other parts of the world, its content is largely from and about the United States. 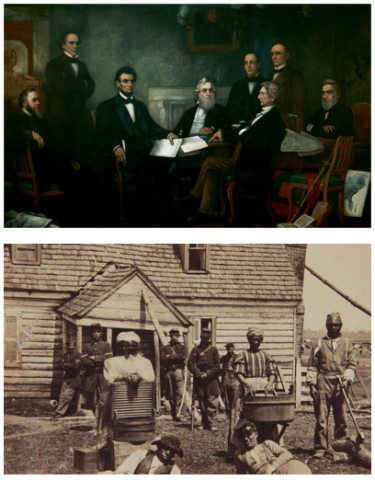 Its legal materials include every statute passed by every colony and state on slavery, every federal statute pertaining to slavery, and all reported state and federal cases about slavery. It also includes legal commentary published before 1920 as well as modern law reviews. Its non-legal materials consist of books and pamphlets from the Buffalo Public Library’s rare book collection. Users can search and browse the collection from a number of access points. The main page includes a full text search, a link to an advanced search, and several browsing options for quick access to specific types of documents. For example, researchers can click on the “Slavery Statutes” tab to access and review federal and state statutes. The advanced search provides a number of filters such as document type, which includes speeches, narratives, and specific legal documents. Originally conceived as a subscription-based database, HeinOnline decided in 2016 to make Slavery in America and the World free to the public. This decision was in response to, as the company president outlines in a press release, the crisis in race relations in America. HeinOnline decided to rethink the idea of profiting from a collection on slavery. This means that well after graduation, our students can access this important and impressive collection that brings together HeinOnline’s strong legal collections with non-legal documents in one searchable platform.